A network of next generation cameras will be installed in Kenya to help stop hundreds of rhinos being slaughtered by gangs of armed poachers every year. One rhino is killed every 11 hours in Africa, as poachers cash in on soaring demand for horn products – fuelled by myths about their alleged medicinal properties. Today (Monday 3 June) conservationists from the Zoological Society of London (ZSL) won a £500,000 grant from Google’s Global Impact Awards to deploy state-of-the-art camera traps in Tsavo National Park, Kenya and help stop the daily massacre of rhinos and elephants. This crucial funding will see cameras with automated sensors installed in poaching hotspots within months – saving hundreds of animals over the next two years. As well as instantly transmitting images of intruders to park rangers, the cameras can detect vehicles from vibrations and triangulate the sound of gunshots, so that park rangers can pinpoint the location of poachers and intervene immediately. A public surge of support for the project saw huge numbers of people vote online for ZSL to receive this critical funding ahead of nine other finalists. 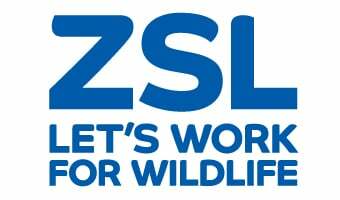 ZSL’s campaign was backed by celebrities including Leonardo DiCaprio, Edward Norton, Derren Brown, Ben Fogle, Dermot O’Leary and Edith Bowman. ZSL’s field conservation director, Professor Jonathan Baillie, says: “These life-saving cameras will help stop the slaughter of rhinos, which has seen more than 1,000 killed in Africa in just eighteen months.